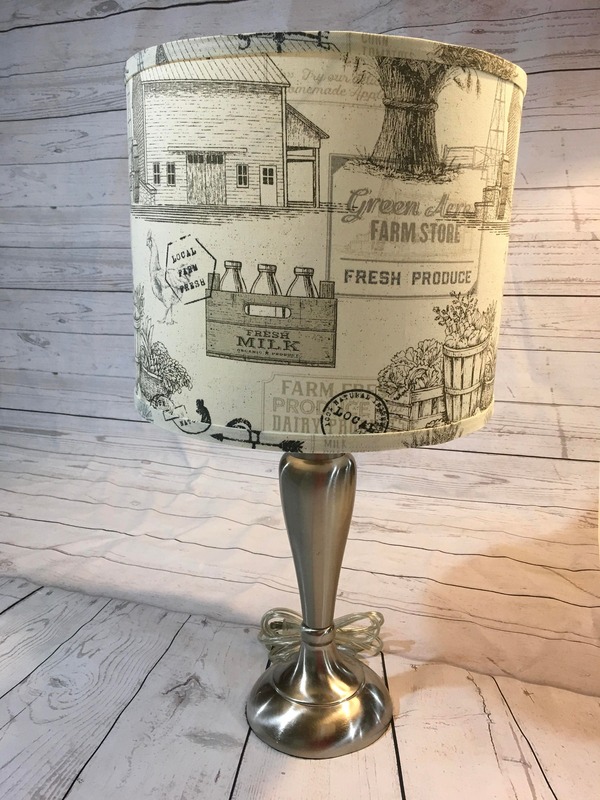 I handcraft this Farmhouse (neutral tones) fabric lampshade using an 8" round clip-on style attachment that fits any standard lightbulb. It measures 8" across, 26" around, and is usually done in a height of 7". I can adjust the height based on your requests. 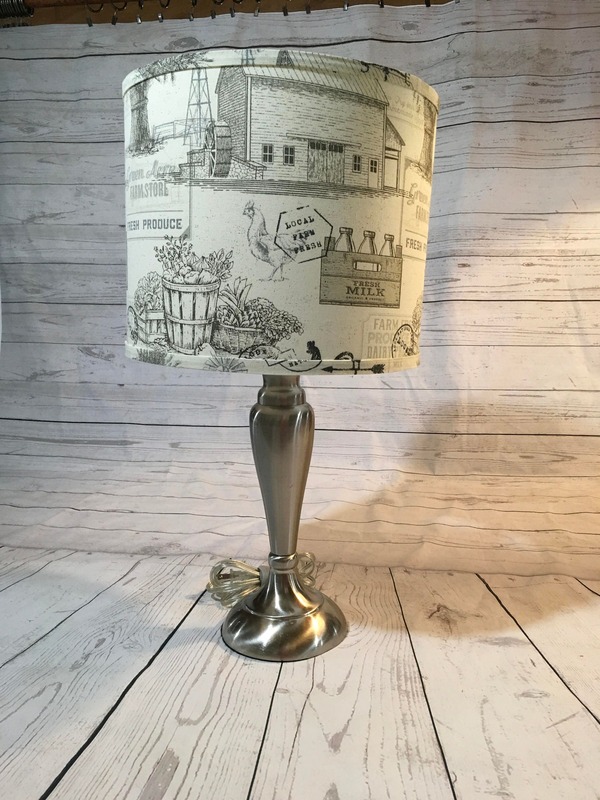 It is finished with a matching fabric bias tape that really finishes the edges and makes the shade even more beautiful! 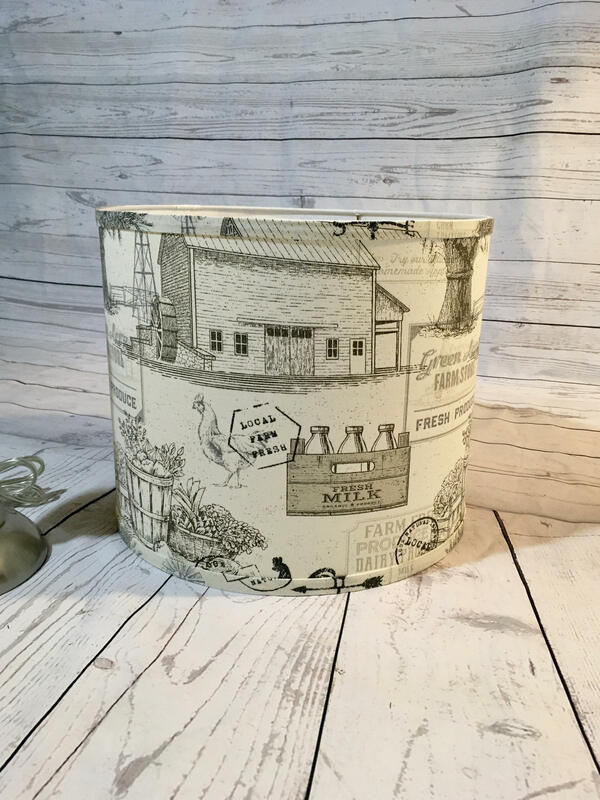 The print is mounted on heat-resistant styrene so you can use 60 to 100 watt bulbs. Clean up is very easy - just use a lint roller or clean, damp cloth. 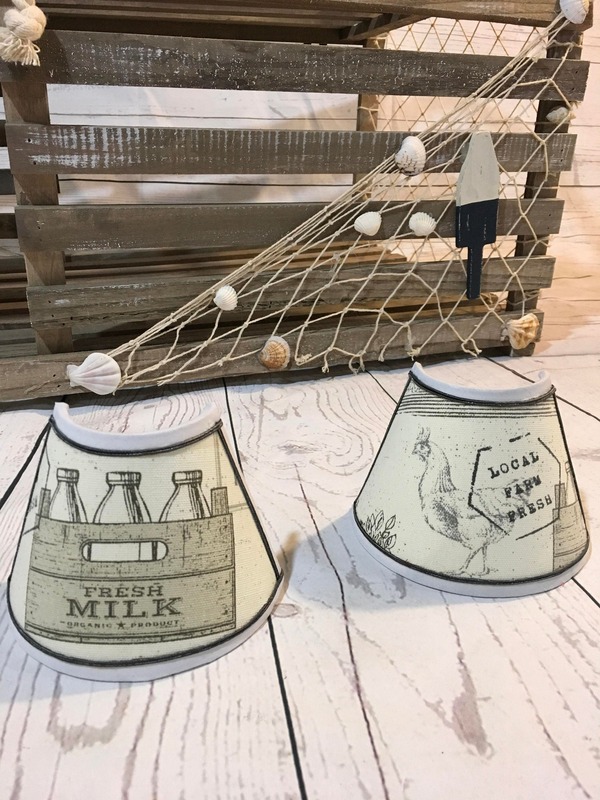 This listing is for lamp shade only, the photo of our Milk Can lamps are shown just to provide an idea of how the shade looks on a lamp (but it is also a shameless plug for our farmhouse inspired lamps that are also listed on our site). 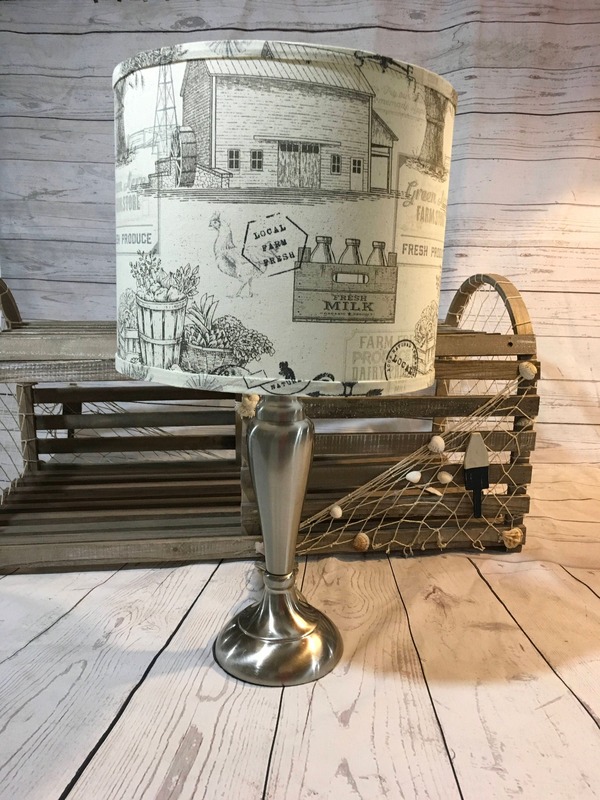 I do this shade in 3 sizes - small (8"), medium (10"), and large (13"), but if you want it in a different size ask me for a price quote and I am happy to provide the most competitive pricing possible. 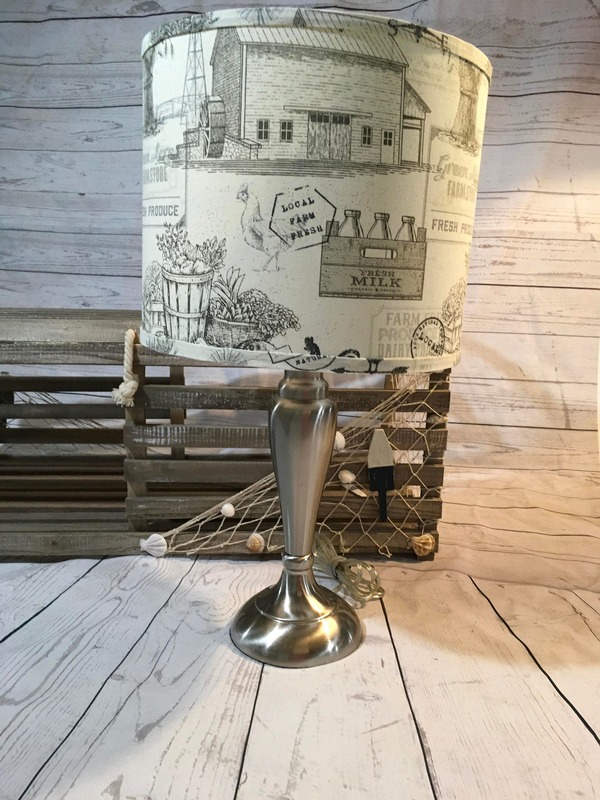 You might be interested in other lampshades - we make them in a variety of fabrics too - check out our nautical themed (red lobster, navy lobster, starfish, and oars), lake house/camping themed (brawn bears, bear gear, fishing lures, woodgrain camping, fishing lures, outdoor life quotes, and wildlife), our heroes line (law enforcement, firefighters, sports teams like Patriots, Red Sox) and farmhouse (barn prints, roosters, gingham) - and many more fabrics!! Our fabric choices or you can provide your own fabric. 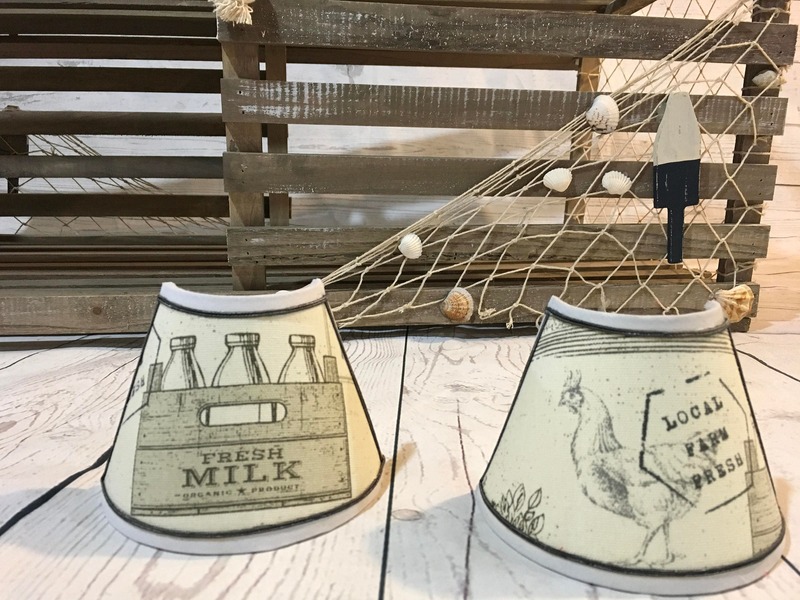 Matching night lights are also available, starting at only $20 each!